On weekends in December, Flaubert Frog hops off Le Carrousel to tell stories about his winter adventures ice fishing, climbing glaciers, and visiting the North Pole. 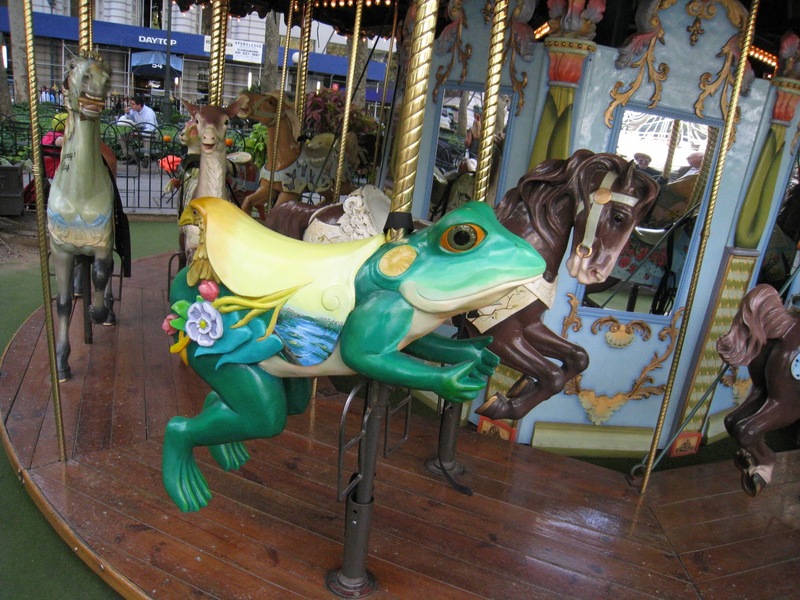 Kids will get a kick out of playing Leap Frog, Flaubert Says, Mad Libs, and other activities with the carousel's mascot. He's not your average kiddie-entertainer...Flaubert Frog's been known to leave parents in stitches, too! So take a break from browsing The Holiday Shops, stop by before skating, or just combine the outing with a spin on the carousel. 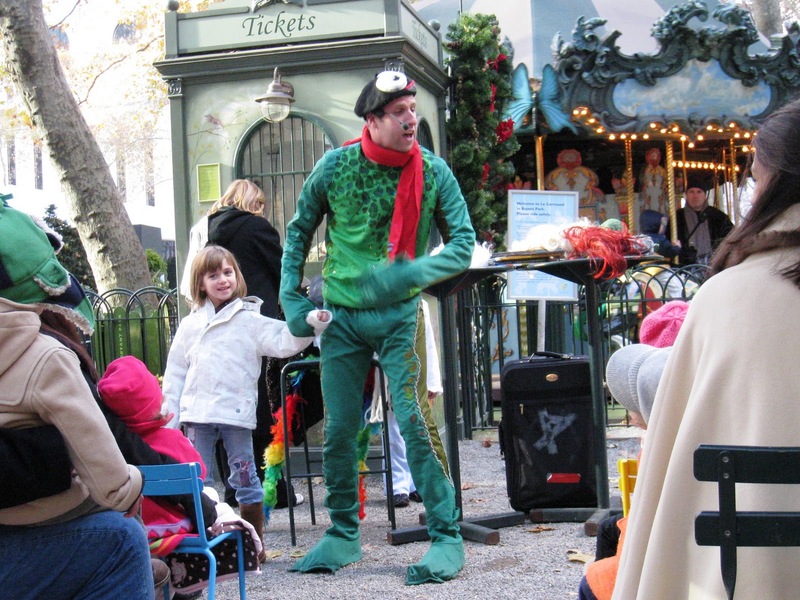 Stop by at the same time on Sundays to see incredible magicians perform tricks for kids of all ages at Le Carrousel Magique. Click here to see a list of Le Carrousel's seasonal hours of operation.